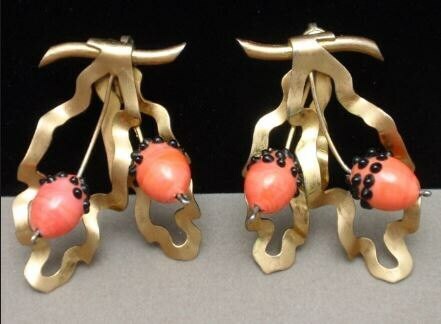 Rare Berry Earrings from Nettie Rosenstein - Extraordinary! 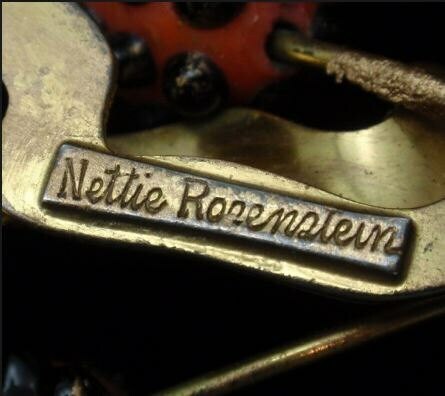 Most unusual, most beautiful Nettie Rosenstein earrings c. 40's/50's. 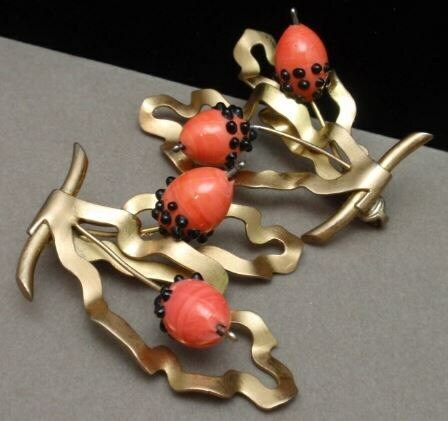 Clip on back earrings in gold tone metal with coral color glass berries with black seeds on gold tone leaves. Truly extraordinary. Note that they are fairly large earrings. Condition is near mint. We have never seen another pair like these! MEASUREMENTS: 1 5/8 inches wide by 2 1/4 inches long. Remarkably light for the size. Pictures do not do them justice. A real find!